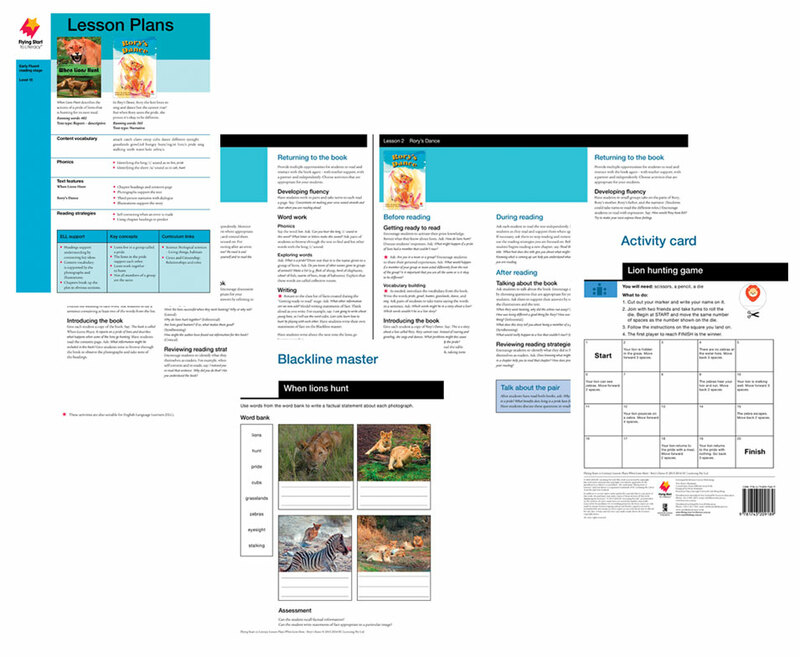 150 Lesson Plans – one for each pair of books (plus 1 for each Shared reading and Perspectives title). There are Before, During and After Reading Activities for each book, plus a synthesisng activity focussing on the key concepts of both books. Each Lesson Plan integrates oral language, comprehension, phonemic awareness, phonics, vocabulary development, fluency and writing. Each Lesson Plan includes ongoing assessment and follow up activities.